You don’t visit Canoustie Golf Links in Scotland just to lie down. In fact, a golf vacation is never planned to ‘relax’ but rather to be ‘thrilled and energized’ by the amazing sports that is golf. Or St. Andrews, one of the earliest homes of the sport. Legend has it that people were hopping around the tracks in town as far back as 1400 AD. Golfers around the world dream of playing golf in this beautiful town. In any case, the Old Course is now the only ancient Scottish destination left. The outlook of the Old Course golf court is plain but eye-catching. With 11 holes one way and seven the other, some of the holes including number 1, 2, 17, and 18 are arranged within the famous vista you get to see on television. The Old Course is normally surrounded by numerous tourists strolling around and some occasional dogs accompanying the visitors. The best Scotland golf trips couldn’t happen without touching base in St. Andrews. There is no doubt the Old Course is the main motivation behind why any golfer would make the journey to the Fife County of Scotland. Ask anyone to name someone or something famous about St. Andrews, the answer is always going to include the magnificent historic layout of the town, Old Tom Morris – the famous Scottish golfer born in St. Andrews, and all of those iconic moments that the people of the town have witnessed. Behind the main tee, the Royal and Ancient Clubhouse sit conspicuously, and Old Tom's unique golf store is situated opposite the eighteenth green (the 18th hole). You do not only get to play your favourite sport on the land where it has been living for years, but also be amused by the breathing monuments associated with the history of golf. People say that St. Andrews is the place golf was introduced. It feels great facing the legacy one-on-one and playing on the very same grounds where the first golfers once used to play. Just when the tee times begin and you strike your first tee, a feeling of excitement and pride encompasses you. You may even find it hard to tee at first, but it is likely to be the most memorable golf vacation and game of your life. St. Andrews is undoubtedly the world’s golf capital but at the same time, it is the perfect point to embark your journey to witness the beauty of Scotland. Edinburgh, which is amongst the most beautiful and exciting cities in Europe, is just 50 miles away from St. Andrews. As far as golf is concerned, a village called Kingsbarns, another exemplary location counted in the world’s best places to play golf, is just a few miles away from the Old Course. The prestigious links of Crail and Scotscraig, likewise, are in close proximity. 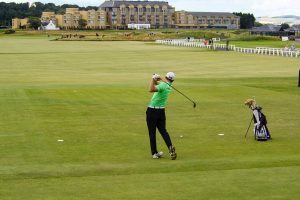 Be that as it may, if you are planning a memorable golf vacation, you'll find a large number of spots in Scotland, for example, Carnoustie, the acclaimed Open Championship setting and more. The great Australian golfer, Greg Norman, was absolutely right when he said, “Happiness is a long walk with a putter”. 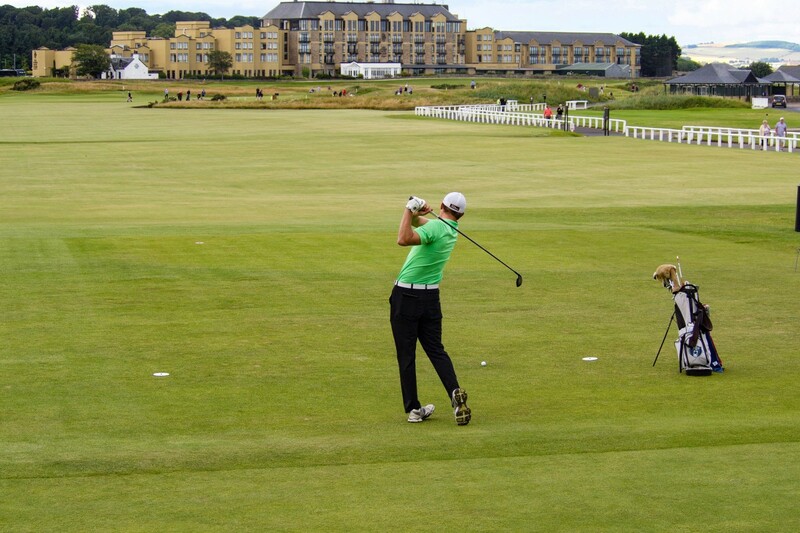 Anytime is tee time; plan a golf vacation to St. Andrews today to have the (tee) time of your life!